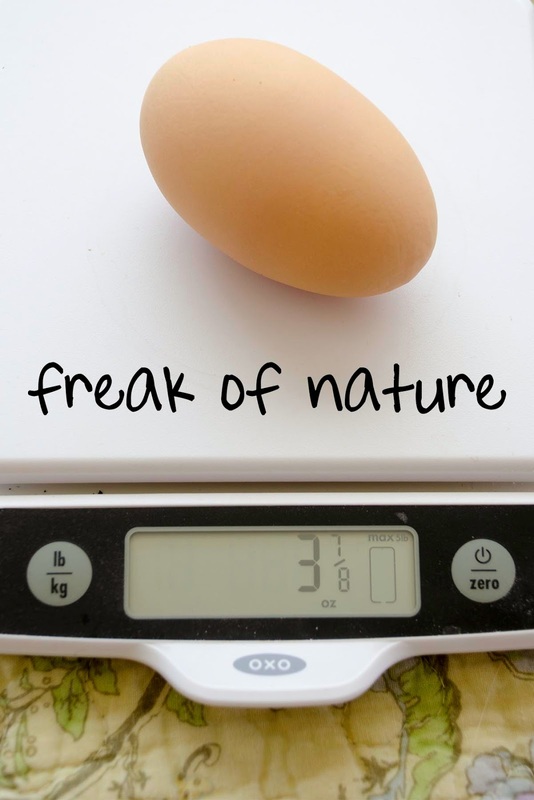 In 2011, "mutant" was added to the USDA weight classes for consumer grade shell eggs. In 2013, "gargantuan" broke that record by 21%. Then along came "freak of nature" in 2015. Here is the 2016 entry, courtesy of Mrs. Hughes. What shall we call this one? 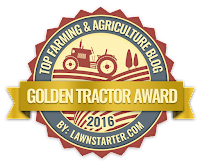 It beat last year's record by a quarter of an ounce. 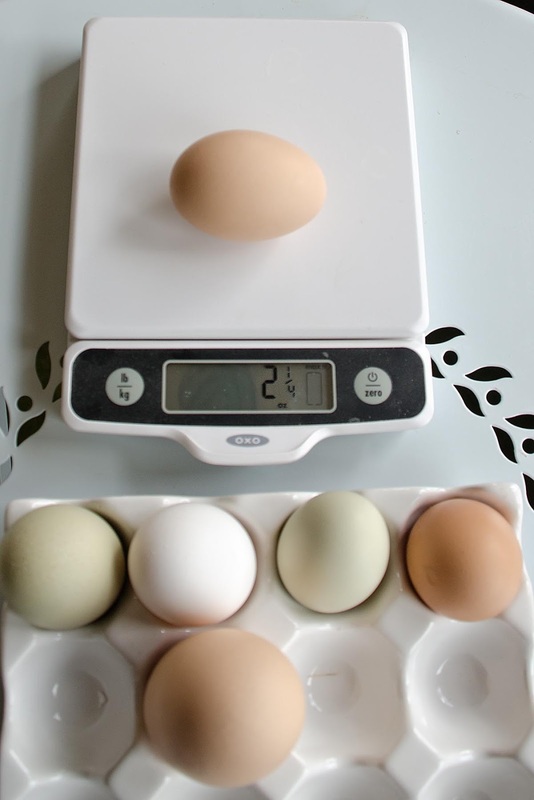 For scientific comparison, the average egg in these parts weighs 2-1/4 ounces. 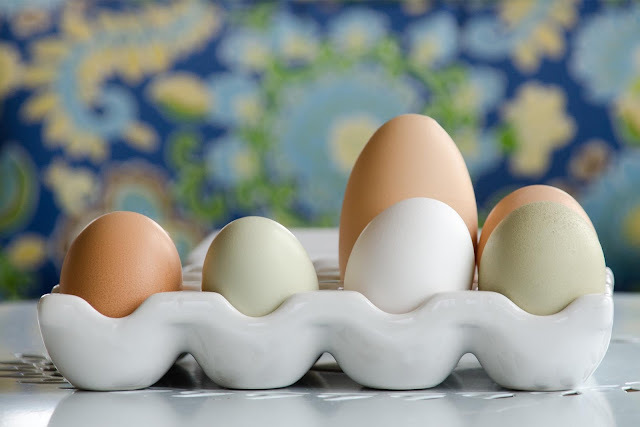 I have a theory about why spring is the season for record-breaking eggs. with a renewed interest in hunting and providing for his family. It's all about the extra protein in their diet. I was going to say "poor chicken" until I saw the photo of the extra protein. That makes a lot of sense. Athletes need lots of protein & your chickens are Olympians. I gasped at the last one! I kind of cringed -- do you suppose it hurts to lay the Mother of All Eggs? That is insane! I want to se a post of the contents of that big ol' egg. Too late. I made an omelette for dinner last night. It was a double-yolker, of course. I think an ostrich is hiding out at the 7MSN RANCH! 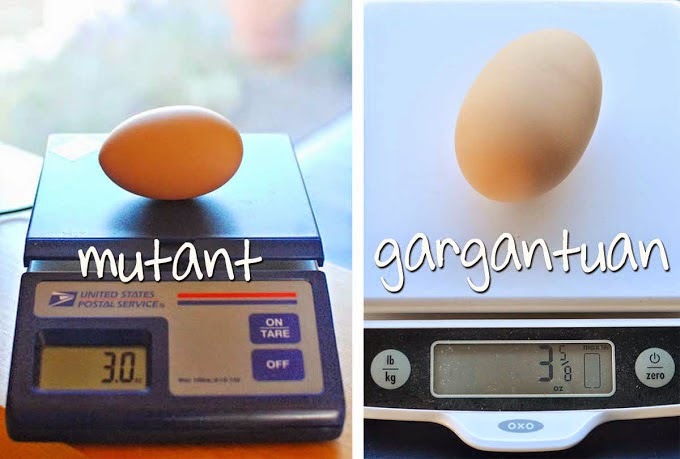 Which becomes the extra protein in your egg! tis magic, i think tis magic.. I'll take a dozen, extra extra large please! Johnny pays tribute so and the feathered beasts don't come after him. He can avoid them but a working cat patrols his domain. Of course it had to be at least a double yolker. I cannot comprehend how a chicken can catch/outrun a rabbit! Who knew?!!!! 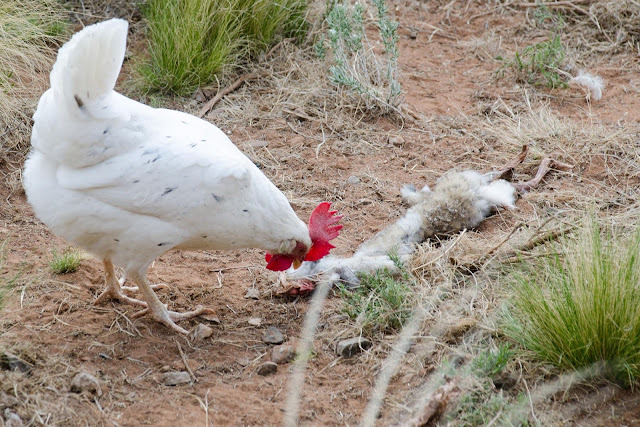 Though my chickens are very talented, I'm quite sure JohnnyCashCat took down the rabbit. Elongated and double yolked, it really looks like it intended to be two eggs, but sort of forgot. I'd call that a "double double"! Double size and double yolk. Glad to see it was more oval than round, poor chicken, lol. Wonder what the record egg was? That looks like a duck egg! Yes, it must be the protein. Enjoy your rabbit-egg. Happy Tuesday. I was thinking it looked like an ostrich egg. Then, I thought maybe it's the "Siamese Chicken Twin" egg. 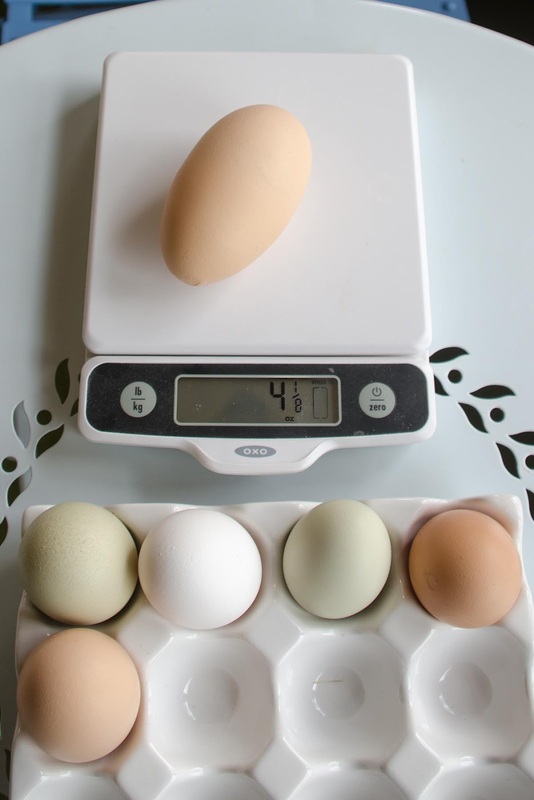 I'll say it must hurt to lay an egg that big! I think you should scramble an egg for JCC in payment for his protein additions to your nutrients.